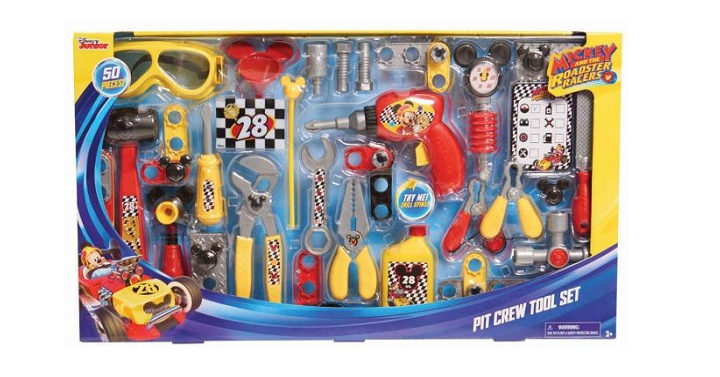 Walmart: Mickey and the Roadster Racers Pit Crew Tool Set Only $19.88! Walmart has the perfect toy set for your little Mickey Mouse fan! Get the Mickey and the Roadster Racers Pit Crew Set for only $19.88! Jam-packed with 50 awesome racer themed tools, this set has everything you need to tune-up your vehicle until its ready to race in style through Hot Dog Hills!